Check skirts and turtleneck jumpers seem to be an ever-popular autumn combo. It's stuck around for a while too, seeing as these pieces are both vintage and from my mum's wardrobe! The jumper has faded a little over the years but the skirt is still in great condition. 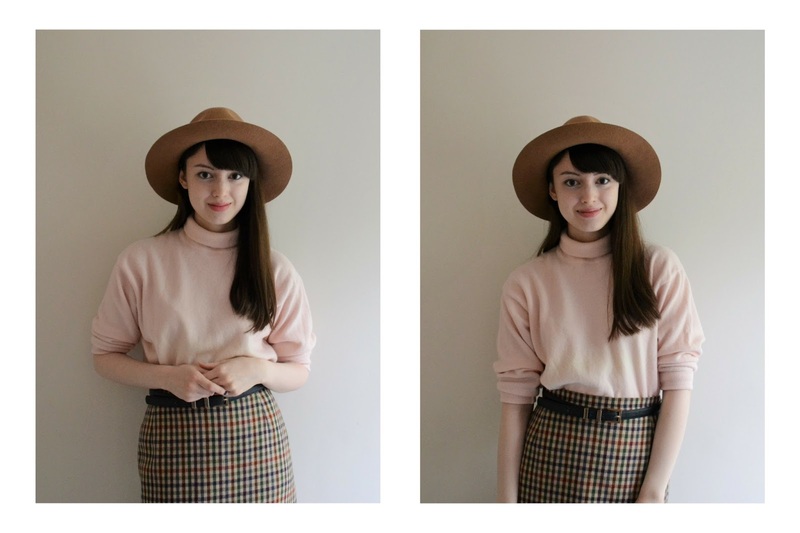 I spent ages deciding what jewellery to pair with this look but in the end I decided to forgo any in favour of this awesome Emoda hat - which I'm surprised hasn't made an appearance on the blog yet - and a simple belt. so pretty! i love this whole vintage look with a modern twist to it! suits you so well.